In 2012 author, philosopher and neuroscience theorist Sam Harris published his book Free Will and reinvigorated the debate about the extent to which people can be thought to be “responsible” for their thoughts, motivations and actions. The idea that humans have “free will” (or perhaps we should say “Free Will” with big F and W) underlies the commonly-held religion-inspired view that each person has a “soul”, or something like it. Under this view the individual person with a soul has the freedom to make choices for him or herself. And, according to this view, it is this freedom to choose – this “Free Will” – that allows us to assign credit or blame to people for their actions. 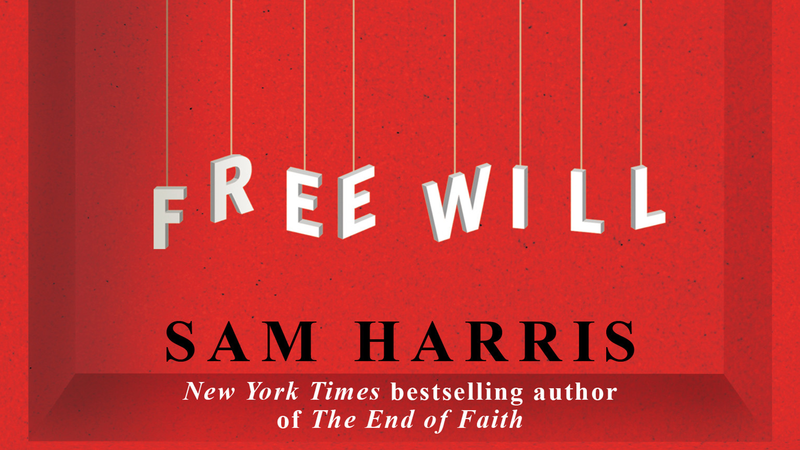 Harris rejects this ordinary man view of Free Will. In as plain language as you’re ever likely to hear from a philosopher he calls it an illusion. Even more than most scientists and secular philosophers, Harris is profoundly anti-religious. He has written several influential books on how and why the faith-based mind set should be rejected, and gives lectures and has engaged in vigorous debates with religious apologists throughout North America and the UK over the last decade or so. The rejection of Free Will takes this anti-religious perspective to a new level. In fact the simple premise that his position rests on is not defined in religious terms at all. That premise is as follows: if everything is caused by something else that leaves no room for the kind of “uncaused” events (i.e., completely under the control of the individual in question) required by the idea of Free Will. This is determinism, plain and simple: the idea that every event, every state of being, every attitude, every personal character trait is caused by a string of other things over which we have no control, and is a cornerstone of all modern science. The most obvious example is our own existence. None of us have had anything to say about who our parents were, what genetic makeup we inherited, how we were raised, what wars were being fought when we were children, etc., etc., etc. How then can we be said to be “responsible” for the kind of person we are, or even the choices we make from day to day? Much can be (and has been) said about the philosophical nuances of the issue at hand. For instance, Daniel Dennett has written a critique of Harris’ book in which he elaborates on a widely accepted alternative – what is called combatibilism – the idea that determinism is compatible with free will. Among other things Dennett claims that Harris is “a compatibilist in all but name”, because he (Harris) wants to hold onto a significant notion of individual moral responsibility. This illustrates that philosophical nuances aside, this debate is really about the practical application of these theories. To what extent can we assign moral responsibility to individuals? And how does this cash out in terms of, say, the way prisons should be run? Most scientists agree this sort of hard determinism leaves no room for a mysterious “soul”. But most are not as rigorous as Harris in spelling out the consequences for things like our systems of punishment. The most blatant conclusion he draws is that there is absolutely no room for the notion of “retribution”. Many of a more conservative bent will say this is just more wishy washy liberal rationalizing of the failure to confront moral reality. There is good and evil in the world, they say, and the unwillingness to call a spade a spade will be the undoing of us all. I will examine this further in future posts.